Stockists : Essential Baits, Quality with a BIG difference! Whilst the vast majority of orders come through our website or telephone order hotline, we still supply a small number of highly respected tackle shops and support them wherever possible - please see list below. Many carp anglers across Europe have been astounded by the quality, ‘catchability’ and presentation of the Essential Baits range compared to other baits they have used in the past. We have received reports of some unbelievable captures of big carp from difficult waters due to the fact that Essential Baits offer a much higher level of quality than they have ever seen before. Most UK anglers now accept that Essential Baits are the best quality food baits available, but now anglers throughout Europe are slowly beginning to realise that they can use a much higher quality bait to improve their catch rates. Don't forget we offer good discounts on bulk orders, which will help offset the cost of shipping. For example a customer in Holland can purchase 25kg of boilies delivered to their door for about £9.00 per kilo delivered! Please see table below for shipping costs and if your country is not listed please contact us for a quote. For smaller orders such as flavours, additives, liquids etc, please contact the Tackle Box in Kent at www.tacklebox.co.uk who offer very competitive postal rates to Europe for smaller items. Carp fishing is expanding in the Czech Republic and we are very pleased to supply Bigfish CZ with our high quality range of carp baits, which are already catching some very impressive fish over there. We were very impressed by this specialist bait rolling company who have many years experience in rolling baits to customers own specifications. We supply Base Mixes and liquid additives to this company who supply many carpers in Germany. This page will be updated periodically to bring you the latest European export news. 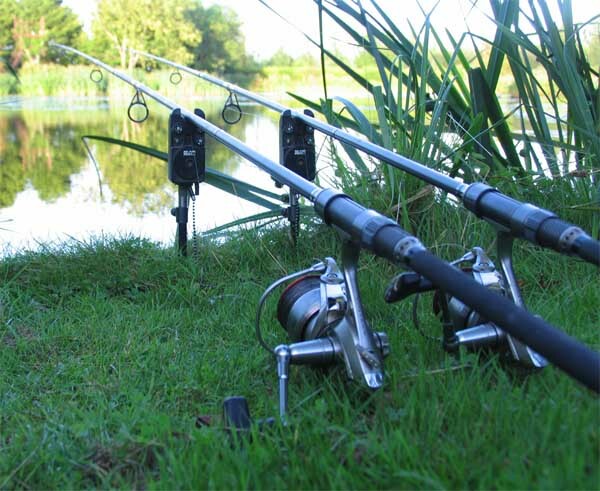 Back leads can be very advantageous in certain circumstances, particularly on venues that receive lots of pressure from anglers and you need to pin your line down to the lake bed. On such venues, any fish that bump into your lines, can often mean the kiss of death. To avoid this, it's best to pin your lines down. Yes, this can be acheived by using slack lines, but the big disadvantage there is that you will also lose vital bite indication. By dropping on a back lead, you can pin your lines down, yet still keep them semi-tight to register bites. They also minimise the chances of you catching your other lines whilst playing fish back to the bank. The problem with most back leads however is that in the event of hooking a fish, they don't slide down the line very well, but we can assure you there's no chance of that happening with these!